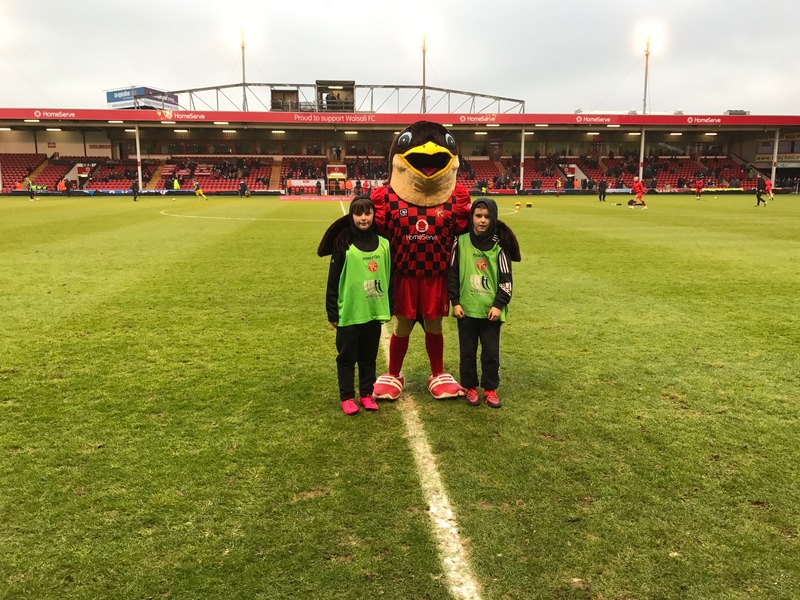 On Saturday 21st January two students from Year 6 (Shaun and Arron) joined up with friends from other schools including our neighbours Moorhill and others from further afield to enjoy a day at Walsall Football Club. The day began with a two hour training session on the newly refurbished astro turf pitch and despite it being absolutely freezing everybody had a great time, improved their skills and enjoyed some great games. They were even joined by Walsall mascot Swifty for a while. Following a visit to McDonalds for lunch and to warm up the group returned to the stadium. The next part of the day was a first both for Walsall FC and the boys as they were taken to meet and be photographed with the chairman and chief executive of one of Walsall’s main sponsors WTI fasteners who were attending for the match. As kick off time approached the boys were given a final briefing then ran onto the pitch led by school team captain Shaun to the applause of the crowd and took their places to help the game run smoothly. With Walsall and opponents Bristol Rovers in similar league positions this was always going to be a tight affair and remained that way until the 44th minute when Walsall took the lead through a stunning goal. The boys near the ‘away end’ got a superb view! Following a quick break for a warm drink at half time everyone returned to their places for a tense second half but two quick goals for the home team made the game safe and the atmosphere in the ground terrific. Even a late Bristol City goal didn’t spoil this. For the two Redhill boys the best was still to come as they were invited back onto the pitch after the game by Mark Wilkes from Walsall’s Community Office where they were presented with their own Walsall shirts and balls for showing great attitude and manners whilst representing the club on several occasions coupled with the hard work they are doing in school by always attending booster classes for SATs, completing home reading and homework well and doing a good job in the school sports teams. All 14 pupils from the schools taking part did a great job and were a credit to the schools and the two Redhill boys particularly so. This was commented on by several members of staff at the match and always guarantees future visits for the school. 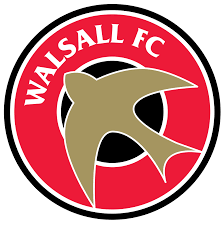 Hopefully there will be several more of our pupils during the next visit when Walsall play Port Vale in March.